Today, I want show how one of the best query tools in the world, can be used to easily and quickly create integration tests for workflow services. These integration tests will seamlessly automate the testing and verification of workflows that are created by web services. This article is borne out of practical experience in the context of the Dynamics NAV (Navision) business software environment. This is an implementation detail, however; the method doesn’t depend on that. Note: this article assumes the reader has some familiarity with LINQ. Should you not be familiar with LINQ, I strongly urge you to become so. LINQ is based on monads which come from the esoteric branch of mathematics known as Category Theory. This branch unifies vast areas of mathematics and provides extreme generality and expressiveness. It is however completely unnecessary to know about these deep things to be able to use and understand LINQ, which is in fact very easy to use and intuitive, even more so than SQL; it does not, however, replace SQL or T-SQL. The little notepad symbol in the above diagram is the logo for the LINQPad tool. This tool is the software equivalent of a Swiss knife. 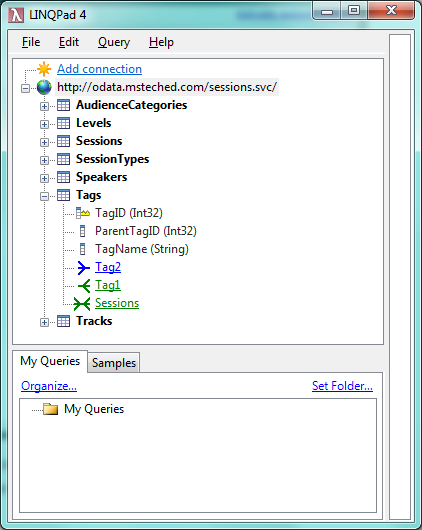 LINQPad makes it easy to connect to a database and execute queries against an object-relational mapping, meaning you can query C# objects that nicely represent the data domain. 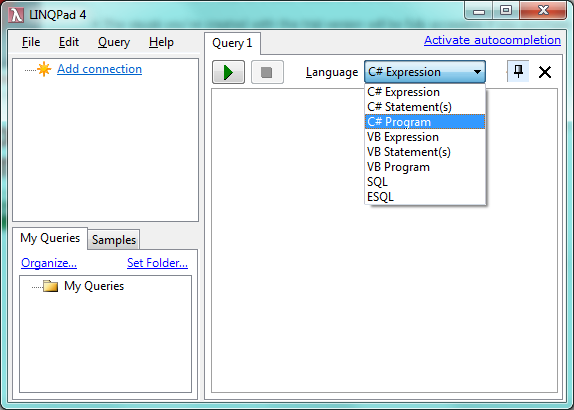 Scripts can be made as C#/VB expressions, C#/VB statements or C#/VB programs. In our case we’ll need the full power of C# programs so we select that. 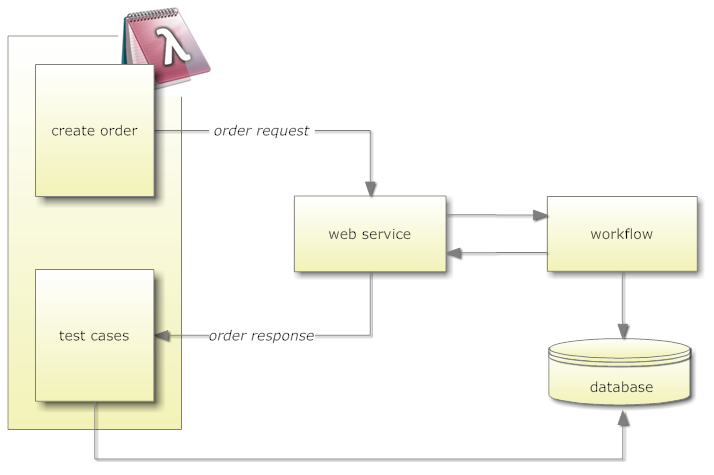 Next we want to build an actual order, we can do that using LINQ to XML. And we can in fact use LINQ to SQL queries to build up these orders from existing data in the system if needed. The types are shown in the upper-left corner. I should note here that I did not connect to a SQL database because I didn’t have one ready at home but instead used a free web data source (it follows the OData protocol). In the context of Navision there is one thing which will annoy any user of LINQPad. That is the fact that Navision has one table for each company, meaning if there are three companies in the database, then there will be three customer tables. So if you wish to query all three companies, you’ll have to do some search-replacing – but luckily that’s trivial, if a slight nuisance. One could imagine building “Navision awareness” into a LINQPad, since it is in fact possible to extend LINQPad, but I’ve not had the time to do this. This might make it possible to just have a variable decide what table version is currently being used. That’s a side-effecting rabbit hole of its own, though. where c.ParentCustomerNo != "" && c.TopCustomerNo == ""
The Test method could print out the name of the test case and whether it succeeded or failed. The type of the customersMissingTopRef variable will be: IQueryable<CompanyCustomer>. The IQueryable supports the standard query operators such as Select, SelectMany, Where, GroupBy, OrderBy, Take, etc. This approach is a light-weight one. A more solid approach would be to build a full object-relational mapping from the database and code up test cases in stand-alone files that will be run as part of a test framework. Nonetheless, the method shown here is straight-forward, easy to implement, and can save hours of tedious manual testing and retesting and can be considered first step with a low barrier-to-entry. I’ve already saved what would amount to several days worth of manual testing due to this method and have found several software defects and regressions. This entry was posted in Computer Science, Datamodel, Declarative, Imperative, Paradigm, Program, Software, Technical and tagged C#, Caching, Language Integrated Query, LinkedIN, LINQPad, Microsoft Dynamics NAV, Navision, ORM, Scripting, Web Service, Workflow. Bookmark the permalink.